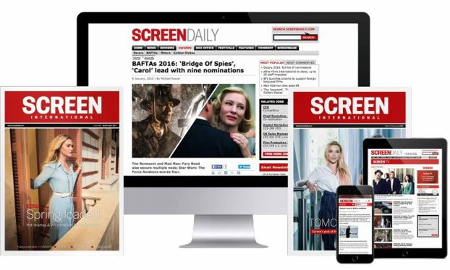 Ahead of the annual MIPTV market in Cannes (April 8-11), Screen speaks to TV drama commissioners in five key European territories about how streaming platforms have impacted budgets, talent availability and broadcasters’ approach to scripted content, genre and format. The European TV drama market is, arguably, in a greater state of flux than it has ever been. The increase in scripted spend by streaming services has sucked audiences, talent and projects away from the traditionally dominant national broadcasters. Netflix alone says it is spending $1bn in 2019 on locally produced European content — the majority of it drama. Its aim is to produce 10-12 new shows a year in each key territory, and it is already at these levels in countries including the UK, Spain and Germany. So how are the public service broadcasters (PSBs) across Europe responding? That’s what Screen sought to find out in a series of exclusive interviews with drama heads at top European broadcasters. It’s clear they are under no illusion about the scale of the challenge they face — and that the impact of the streamers is being felt across Europe. “Audiences have gone down,” admits Fernando Lopez Puig, head of drama at Spain’s RTVE, who notes it’s tough to attract family audiences when everyone has their own screen or device. On the plus side, European broadcasters are witnessing greater dynamism and energy in the scripted market. The rapid rise of the streamers has also forced them to be very clear about their own drama offer and how it differs from their new rivals. “It’s been a real palate cleanser,” says BBC controller of drama commissioning Piers Wenger. “It has helped us focus on bold, authored British storytelling.” After the success of Bodyguard, he’s after more thrillers and stories that audiences “need to watch on the night”. All stress how their public service remit distinguishes them, too. Heike Hempel, deputy director of programmes at Germany’s ZDF, says it’s important to offer a variety of shows for a diverse audience. “We do not exclusively target well-off young city dwellers,” she says pointedly. Anna Croneman, head of drama at Sweden’s SVT, talks of offering a greater variety of drama - bigger European co-productions mixed with local shows. “We will have to be better at co-producing among broadcasters, and working with regional funds and tax rebates. PSBs in Europe have a budget for content of $21bn [€18.6bn], so we should be able to tackle this challenge.